This car is being offered by a used car dealer. 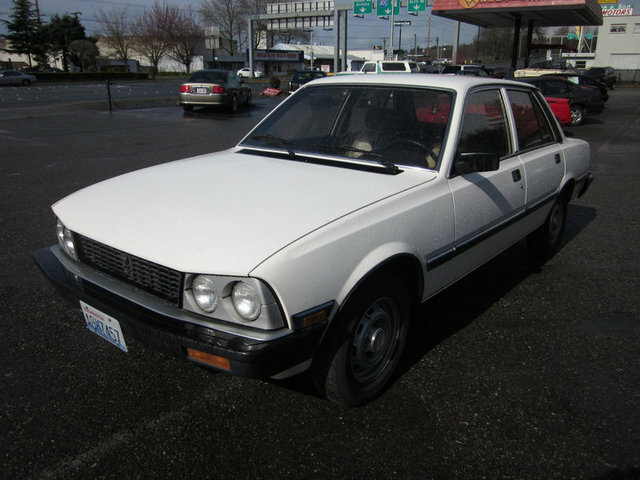 When was the last time you saw a non-classic car dealer selling a 29 year old car, let alone a 29 year old Peugeot 505? This appears to be a very nice 505. 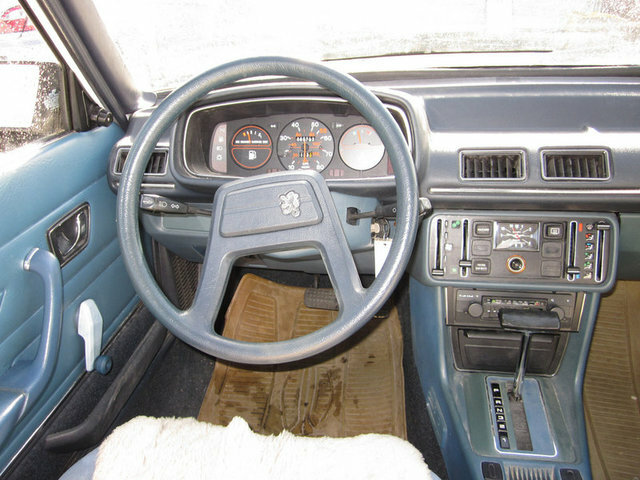 Being a 1981, it has the early dash. I prefer the later dashboards, but there's something to be said for the simplicity of the early ones. This is a base model 505. 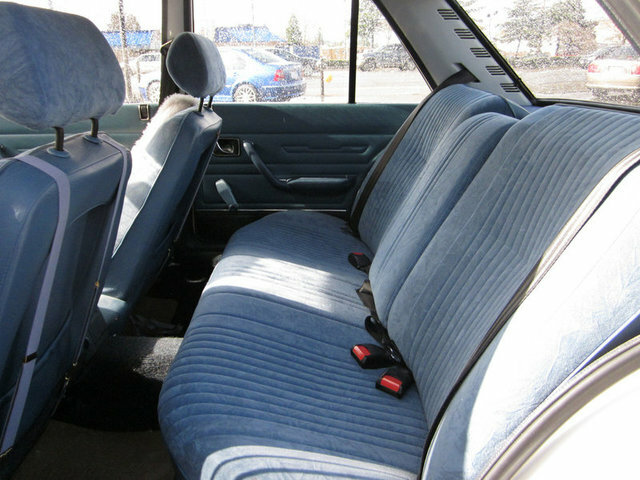 It came with manual windows, no sunroof and steel wheels. It most likely has the 2.0 liter 4 cylinder engine. This was not the most powerful engine in the world, but it moved the 505 at a respectable pace. With proper maintenance it is very reliable. The transmission is a ZF 3 speed automatic. This car has just 60,782 miles on it and the body looks great. White does a horrible job of hiding rust and I don't see any on this car. The huge downside to this being a 1981 505 is the US spec sealed beam headlights. They look awful. If you buy it, replace them with a set of European headlight units. It will cost some real money to find them and have them shipped from Europe, but they're worth it as they will not only make the car look 100% better, they will illuminate the road better, too. 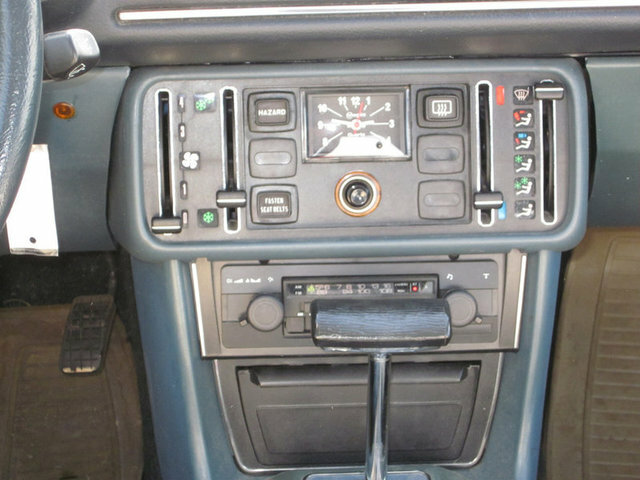 The interior also looks great and the AM / FM cassette radio makes me believe this car was owned by someone "older". Contrary to popular belief, there isn't a whole lot that goes wrong with these cars. Peugeot switchgear is pretty fragile, but as long as you don't punch the buttons or slam the stalks they will last quite awhile. Being an older car, electrical connections may corrode, but they're pretty easy to fix. The Bosch K-jet fuel injection system is a bit of an antique, but it's still pretty reliable. 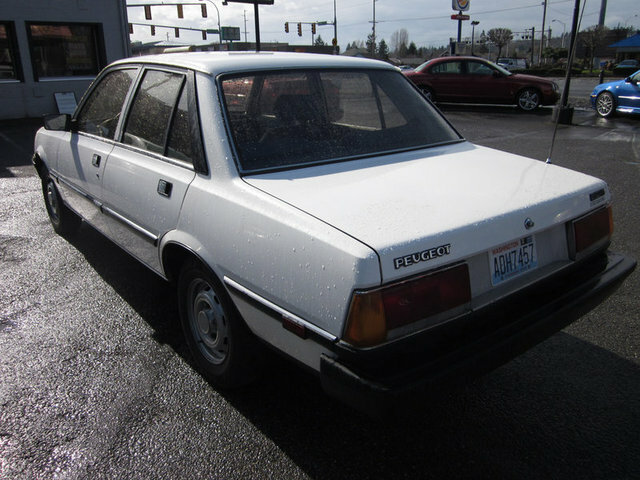 Located at Sunset Cars of Renton, in Renton, WA, click here to see their ad. A big thanks to JaCG reader, Chris Z, for sending me the link to this car!